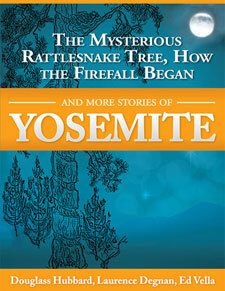 Yosemite National Park History and Stephen T. Mather. Yosemite National Park history stretches back far beyond the “discovery” of the valley by the white man…but its history as a park is quite short. In fact, it was less than 50 years ago in 1964 that the Centennial anniversary of Yosemite Park was celebrated. On that special occasion it was both fitting and natural that a historical accounting of the previous 100 years be compiled. For those still living who had played a role in the early history of Yosemite National Park, time was running out. Requests for their personal reflections, observations and favorite memories were rushed out to them. As their responses were received, an interesting collection of historical vignettes began to take shape. 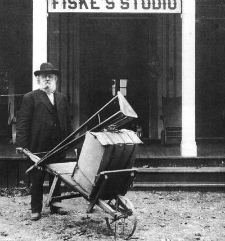 The earliest of Yosemite entrepreneurs and "champions" were long gone by 1964 and could no longer tell their stories. Surviving family members and Yosemite historians were responsible in these cases for contributing their writings instead. 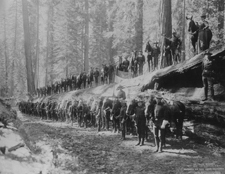 Included in the historical accounts on this website are unique stories of people who shaped what would become Yosemite National Park. Yosemite's first photographers, whose images of Yosemite captured the imagination of the world are included here; as is the story of Yosemite’s earliest hosts, true entrepreneurs who seized their opportunity to provide food and shelter for the rapidly growing number of park visitors. We begin with an account written by former Director of the National Park Service Horace Albright commemorating Stephen T. Mather. Mr. Mather was the first Director and according to Mr. Albright “was in many respects the founder of the National Park Service”. His tribute is the perfect introduction to these historical snapshots of Yosemite and the many interesting characters that helped make it what it is today. 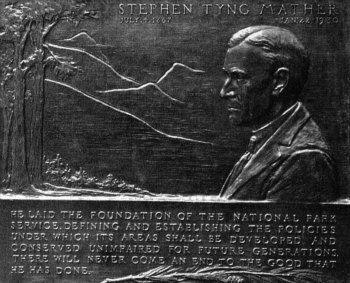 Stephen Tyng Mather, the first Director, was in many respects the founder of the National Park Service. 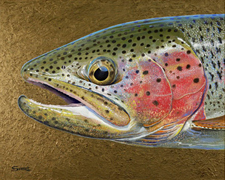 He was a devoted friend of Yosemite National Park for much of his adult life. He was outspoken in his devotion to Yosemite while head of his bureau; yet his abiding affection for this park did not cause him to discriminate against others in considering their problems or needs. Mr. Mather was born in San Francisco July 4, 1867, and graduated from the University of California at Berkeley in 1887. During summer vacations he sold books in the mountains near Mt. 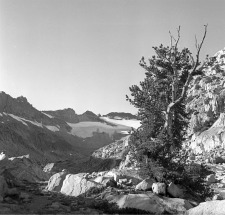 Shasta and camped in the Sierra Nevada. In his mid-30's, he joined the Sierra Club and climbed Mt. Rainier. Later, he made pack trips into Yosemite and Sequoia Parks and into what is now Kings Canyon National Park. In 1914, after one of these trips, he wrote a letter of complaint about conditions he had observed, to his old friend of college days, Franklin K. Lane, then Secretary of the Interior. The Secretary answered, inviting him to come to Washington and run the national parks himself. This was despite the fact that Mather had done everything in his power to support opposition to the grant of Hetch Hetchy Valley to San Francisco the previous year. Mr. Mather accepted and entered on duty January 21, 1915 as Assistant to the Secretary of the Interior. He had two objectives to attain, he hoped quickly, so he could return to his chemical business from which he was only semi-retired. First, he wanted to do what he could to persuade the Congress to establish a bureau of National Parks, since there was no central organization to direct the affairs of the parks and monuments. Second, he wanted to add certain new parks to the system and extend and enlarge some existing parks. 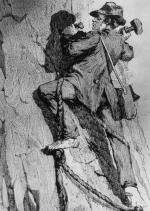 Mr. Mather took strong positions on three matters of vast importance to Yosemite Park. First, he made it clear that he wanted the Minarets-Devils Postpile region, a superb scenic area eliminated in 1905 at the behest of certain mining interests, returned to the park. He worked to this end without success until his retirement from government service. 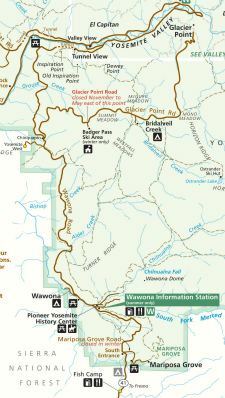 His second project envisioned acquisition of the right of way and toll franchise of the Tioga Road which had been built in the 1880's by the Great Sierra Consolidated Silver Co. and had long since fallen into sad disrepair, impassable for travel by automobiles. These rights he soon negotiated for a reasonable sum of money, more than half of which he advanced himself. Funds were also subscribed by his partner, Thomas Thorkildsen, the Sierra Club and other California parties. His third undertaking was to provide Yosemite Valley with more facilities for the accommodation of visitors, since the 1915 expositions at San Francisco and San Diego were certain to attract an enormous volume of travel from every part of the United States and aboard. He succeeded in doing what at that time seemed to be impossible: He persuaded groups of prominent business men in Los Angeles and San Francisco to join in financing and installing lodge and camp facilities on a scale of magnitude theretofore undreamed of. The largest building of the old Army camp, Fort Yosemite, was leased for a new Yosemite Lodge center, taking the place of two pioneer camps. Here were built many cabins and scores of tents. The new company also acquired leaseholds of the Sentinel Hotel, general store and other establishments. Transportation lines were reorganized and integrated with the new facilities. Of course, Camp Curry was being expanded too as finances and franchise limits permitted. 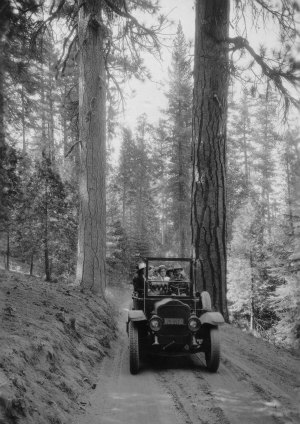 In 1925, the interests of this San Francisco-Los Angeles Company and the pioneer Curry Camping Company were merged as the Yosemite Park and Curry Company under the leadership of Dr. Donald B, Tresidder, and the Ahwahnee Hotel was built, its completion nearly coinciding with the finishing of the All Year Highway (State Highway 140) from Merced to El Portal, a route that made Yosemite a year-round park. 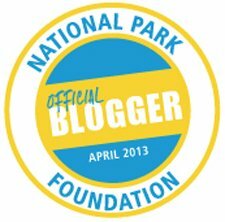 In 1916, the Congress authorized the establishment of the National Park Service. That year the Yosemite power plant on the Merced was built in compliance with a program prepared by Mr. Henry Floy, electrical engineer of New York and brother-in-law of Mr. Mather who personally made his professional service available without cost to the government. 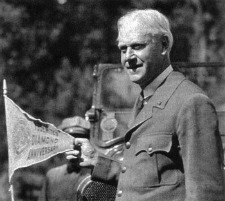 Soon after our country entered World War I, the Congress provided the first funds for the National Park Service and Mr. Mather was appointed the first director. Meantime, serious attention had been given to personnel problems and in 1916 the far-seeing Mather obtained, by transfer from the U.S. Geological Survey, Washington B. ("Dusty") Lewis for the superintendency of Yosemite National Park. Lewis had had wide experience as a topographic engineer in many parts of our country and in South America. It is worthwhile to note here Mr. Mather's interest in the personnel of the Park Service and particularly in Yosemite Park. In addition to Superintendent Lewis, and the reliable, humble assistant Superintendent, Ernest Leavitt, he counted among his close friends Naturalists Ansel Hall and Carl Russell, Engineer Oliver Taylor, Chief Ranger Forest Townsley, Rangers John Wegner, Billy Nelson, Charlie Adair, Billy Merrill, Dixon Freeland, John Bingaman, Jimmy Lloyd, and many others too numerous to mention here. The Director was never happier in the field than when he was out with these men. This association led him to plan a social center for them, and with his own funds he had the Rangers' Club in Yosemite Valley built, hoping, of course, that this would serve as an incentive for the Congress to authorize similar structures in other parks. Unfortunately, funds were never forthcoming for such establishments following the enlightened course he had pioneered. 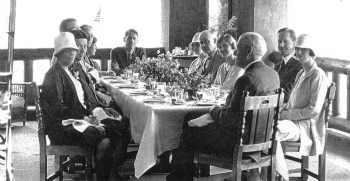 In the summer of 1919, Director Mather, while visiting at Lake Tahoe, observed the nature talks and other interpretive work instituted and financed by Dr. and Mrs. C. M. Goethe of Sacramento. He was enchanted by the success attained there by Drs. Harold C. Bryant and Loye Miller, He arranged with the Goethes to transfer this valuable service to Yosemite Valley the next year where a much larger segment of the traveling public could be benefited. He shared the expense with the Goethes until Park Service money became available. Meantime, he gave every encouragement to Ansel Hall's museum plans, applauding his collections and enthusiastically endorsing a plan for museum development which led to the building of the Yosemite Museum in 1925 with funds made available by the Laura Spelman Rockefeller Memorial. The magnitude and success of the Yosemite installations developed the massive momentum that carried interpretive activities of the Park Service forward throughout the park and monument system. In Yosemite National Park, the Big Trees were already saved by the Acts of Congress in 1864 and 1890, but along the western boundary of the Park and reaching into it were large tracts of privately owned land containing magnificent stands of timber…pine, fir, incense-cedar, and other species. The Wawona and Big Oak Flat entrance roads to Yosemite Valley, the Crane Flat area and the region to be traversed by the "new" Tioga Road were in large part not safe from the railroads and logging operations of the lumber companies, and their beautiful, tree lined borders were destined for devastation. Under wise exchange laws, Superintendent Lewis and Mr. Mather successfully executed a program of exchanges of government timber for that along the Wawona Road, so that today we can drive from Yosemite Valley to the South Entrance and never get away from the lovely sylvan corridor. In 1928, Mr. John D. Rockefeller, Jr., became interested in the threat to the large stands of Sugar and Ponderosa pine on the Big Oak Flat Road the Crane Flat area and the new Tioga Road, but Mr. Mather had retired before this huge timber acquisition was arranged. It was consummated in 1931, Mr. Rockefeller matching government funds of about $1,750,000--a total fund of $3,500,000. A conservative estimate of the present-day value of this timber is $30,000,000! Another early Mather undertaking was the location and development of a new village site in Yosemite Valley. The Director felt the Old Village, while picturesque and containing historic structures, was in a very inadequate area, had no sun, was very cold in winter, and often was inaccessible due to drifting snow. His landscape architects sought better sites on the other side of the Valley under the north wall. At his own expense, Mr. Mather employed Myron Hunt, famous Pasadena architect, to assist in site location and building design. The result of this joint endeavor was a new village location, and soon the administration building, the museum and the post office were under construction. Meantime, the pioneer photographers, Pillsbury, Best, Boysen and Foley, cheerfully and promptly built structures suitable for their enterprises on the sites assigned to them. San Francisco's control of Hetchy Hetchy, attained in 1913 over the vigorous protests of thousands of alarmed citizens following the leadership of John Muir and the Sierra Club, caused Director Mather many anxious hours. The city, in seeking legislation to exploit Hetch Hetchy valley for a reservoir, promised to develop this "Yosemite," as Muir sometimes called it, for recreation with hotels, chalets, camps along its rims, roads connecting them, boats on the lake. Oh, Hetch Hetchy was to become another Lake Lucerne or Lake Geneva! In Mr. Mather's time, progress had been made on the devastating dam and other works, but he correctly sensed that the city engineer and other officials had no intention of complying with promises made to Congress in 1913. The worried Director sought to get more definite commitments as to the recreational facilities that would be made available, but he met with rebuffs and, in the San Francisco newspapers, criticism and abuse. He was engaged in his struggle with the city when his health forced his retirement. 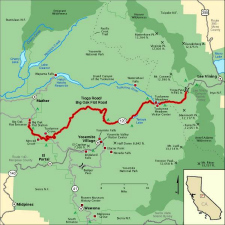 His successor had no better results, and finally settled the road problem by an agreement to accept a sum of money in lieu of the promised rim highways of the Hetch Hetchy; and this was allocated to the first sections of the new Tioga Road to be built eastward from Crane Flat. Hetch Hetchy today is still almost a total loss to Yosemite National Park. Giving his name to the terminal railroad station at Hetch Hetchy was never regarded by Mather as a compliment. Stephen T. Mather never missed a year during his official life in making one or more inspection trips to Yosemite. His last year was 1928. In the spring, he had his Superintendents' Conference in San Francisco, then brought all of his associates to Yosemite Valley to see the “All-year” highway, the new village, the museum, the Ahwahnee, and to hold his final discussions on national park problems. In late June, he attended the assembly of the National Conference on State Parks, and many delegates to the Conference joined him on a visit to Yosemite Valley. When they had gone, he rested a few days, and on July 4th, his 61st birthday, Mary and Don Tresidder had him as their honored guest at a beautiful luncheon on a veranda high in The Ahwahnee overlooking the Valley he loved. A picture of him at the luncheon table clearly shows how happy he was. So far as we know that was his last visit to his beloved Yosemite. On the day before Herbert Hoover was elected President, he suffered a stroke in the office of his attorney in Chicago. He retired from the directorship early in January 1929, and suddenly passed away in Boston on January 22, 1930. Stephen T. Mather has been dead 34 years but the personality and ideals of this extraordinary man still influence his National Park Service in its great public activities. 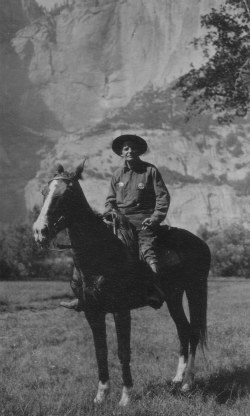 As for Yosemite National Park, his works still live in the paved roads, the bridges, the public buildings, the Museum, the water and sanitation systems, the high country trails, the timber lands saved from devastation, the fine public service of administrators, rangers, naturalists and other technicians.